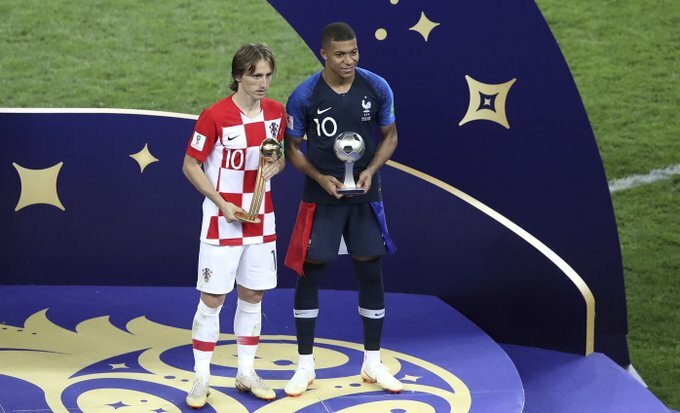 Croatia captain Luka Modric was named the Golden Ball winner while England sensation Harry Kane won the Golden Boot award for the 2018 FIFA World Cup here Sunday. Croatia lost 4-2 to France in the final at the Luzhniki Stadium in Moscow. Modric failed to get on the scoresheet but the voters still thought he was the best player in the tournament. The 32-year-old appeared in all seven of the team’s matches, scoring three goals and chipping in with assists. Other players in the running for the award were Edin Hazard (France), Antoine Griezmann (France), Perisic (Croatia) and Courtois (Belgium). Meanwhile, thanks to his tally of six goals Harry Kane took home the Golden Boot. Belgium goalkeeper Thibaut Courtois , who was beaten just four times in the tournament won the Golden Glove award.